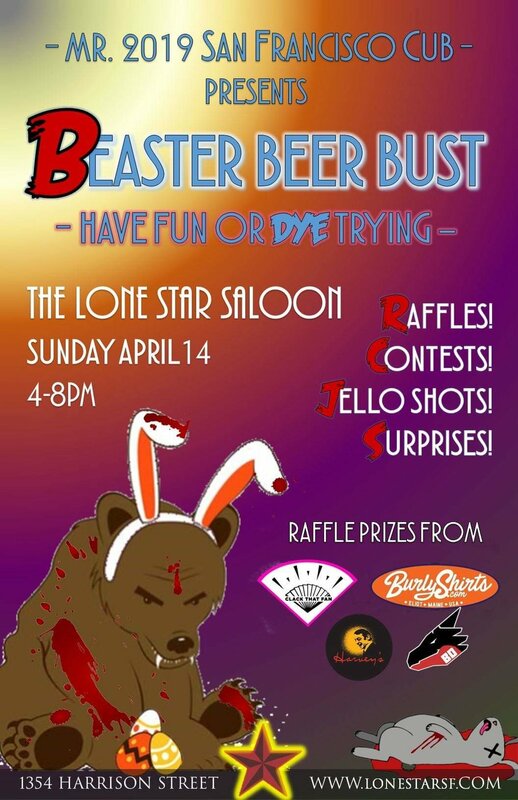 Bay Area Cub 2019 presents the B-Easter Beer Bust! There’ll be jello shots, hot apple pie shots, raffles, contests, and loads of surprises! Our contest will be Easter egg decorating! And once it’s all done there’ll be twine and hot glue to make a delightful string of eggs! Nothing sexual about round objects on a string! Be as creative as you’d like, bonus points for innuendos! The winner will receive a $30 gift certificate to Harvey’s.